We are located in Medford, a licensed and bonded roofing contractor, and specialize in commercial and residential roofing: full time field supervision, free estimates, roofs warranty, emergency roofing services, residential & commercial roof services, expert roof repairs, and quality leaky roof repair. We are a family owned roofing contractor, serving Ashland, Grants Pass,, and Medford,that specializes in commercial and residential roofing: full time field supervision, free estimates, roofs warranty, emergency roofing services, residential & commercial roof services, expert roof repairs, and quality leaky roof repair. You can rest assured that you have made the right choice in hiring the premier roofing company in the Rogue Valley. You can expect dependable, quality, and professional workmanship at an affordable price. We are an established roofing contractor dedicated to providing long lasting roofing materials installed by highly skilled Medford Roofers. 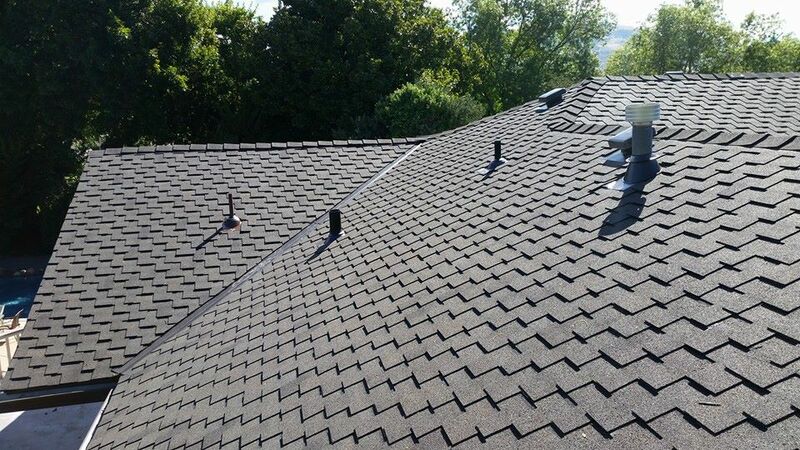 We provide a full range of residential roofing and commercial roofing services and products. Installing a new roof can be a complex task and our skilled roofers have the expertise and knowledge to install a roof system that will last for years. Please take a few moments to browse our website and learn more about Skye Roofing, LLC, along with our residential roofing and commercial roofing contractor services. You will find information about our roofing company and a photo gallery that displays our quality work by our Roofers in Rogue Valley. Whether you need a roof replacement, new roof installation or roof repairs, our roofing contractor services will exceed your expectations. Send us an email to schedule a roofing estimate today - click here. We are a full service roofing contractor servicing Ashland, Grants Pass, Medford and the communities in Rogue Valley. Our services offering a range of roofing from minor repairs, deferred maintenance to roof preservation coatings and complete re-roofs to homes and businesses in Southern Oregon. We are a family business dedicated to quality, expertise and above all, customer service. However, 90% of all roof leaks are caused by improper installation or by defective metal flashing. Rarely does the actual roofing product fail. Flashing is found near any roof penetration area such as chimney areas, step, apron and valley areas where roof angles join together. During a roof repair, it is necessary to look for any other roof damage that could lead to additional problems. If leaks are not addressed, the structure of your home may be weakened as the building frame continues to be exposed to dampness. Get quality roofing services for prices you can afford when you choose Skye Roofing! We are a family owned and operated business. Our staff rises above the rest. Don't just take our word for it, check out our amazing roofing photo gallery. See for yourself our outstanding work. With over a decade of experience behind us, you can trust in knowing that your roof will be done right! Contact us for a FREE estimate. The home is often an individual’s largest investment, so don’t trust your roof to a roofing contractor just because the bid is low. To make sure your home or business is covered with a roof that’s built to last by roofers who truly care, there are four questions you should ask when shopping for a roofing company in the Rogue Valley area. #1 Take care of customers with integrity. Even if it means taking a loss, what’s right to do is right to do and that’s worth more than money. #2 Take care of our team. When the company takes care of them, they take care of our customers. #3 Run efficient operations. This results in higher quality and lower costs for clients. #4 Only use high-quality proven materials and workmanship. It will provide years of worry free service. We understand your home is your biggest investment. We take the utmost care in the installation of all new roofs and re-roof systems; to protect your investment. Our family owned business roofing business uses professionals who install or repair your roof using the most current waterproofing techniques and materials. We take pride in our workmanship and the owner, Fernando, manages every job to assure the quality control of the product we deliver to our clients. 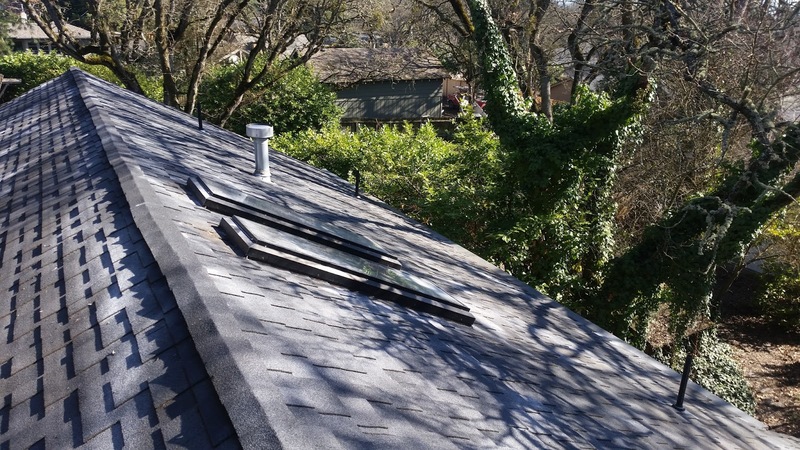 Our Southern Oregon residential roofing services cover all necessary building code issues and we advise you on what is the best and most cost effective means of dealing with your roofing issues. We are insured to protect you and your building from any issues that may arise and properly licensed & bonded to perform the work at hand. Whether you’re having a new home built or your current roof has been damaged, the family team at Skye Roofing is here to help when it comes to installing a new roof and/or roof repairs. We’ve proudly served residents throughout Ashland, Grants Pass, and Southern Oregon for many years; always striving to produce superior results on each and every roofing project. When you hire our roofing team to build your new roof, you can count on us to use high-quality materials that will exceed your expectations. We understand the importance of having a sturdy roof above your head, and you can rest easy knowing our roofs will protect your family and your possessions from even the toughest elements. 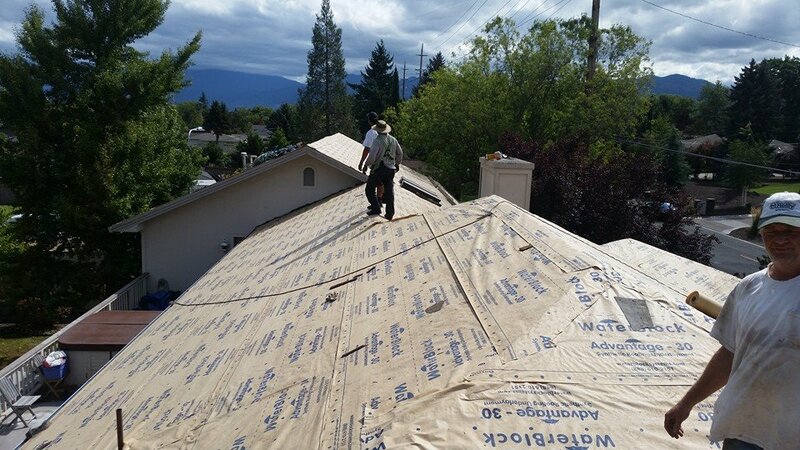 If you are in need of roof installation services in Southern Oregon, you can rely on Skye Roofing to get the job done. No project is too large or small for us to take on, and we will work with you throughout every step of the process to ensure you end up with the roof you want. For more information about what our installation and re-roofing contractors, fully licensed in Oregon, can do for your property, please give us a call today to speak with a member of the Skye Roofing team. When your roof has been damaged, we know that you can’t afford to wait around for repairs. That’s why the experienced professionals at Skye Roofing are here to help. There is nothing more important to us than the safety and satisfaction of our customers, which is why we can work quickly, yet carefully, to complete repair jobs. Whether you have a few missing shingles or a giant hole in the middle of your roof, don’t panic. Our professional roof repair services can correct the problem in no time. We invite you to browse our website to learn more about our history serving Southern Oregon home owners. We are always here to help both new and existing customers. No matter what type of repairs your roof is in need of, you can count on us to provide get it back in top shape. If you have any questions about the professional roof repair services that we offer send an email today and we will contact you quickly. Every residential homeowner wants a roof that will stand the test of time, without costing the family fortune to install it or maintain it. Installing, upgrading or replacing a residential roofing system can be overwhelming. Our prices are excellent, and our free consultation will help you make wise choices. Most of the residential roofs we come across are replaced or repaired about every 10 years. Selecting the right residential roofing material can help you to reduce repair and replacement, or at least extend the roof’s overall life. At Skye Roofing, we help you select long lasting material, install your new roof at a great price, and extend the life of your home by professionally installing the roof; all within a pre-determined timeline. Don’t be fooled by the name, we are a family business that has built our reputation on superior service to our customers. Fernando, the owner, oversees every roofing project. We have worked on all types of residential roofing systems in Rogue Valley. The process starts with a complete evaluation of your property. This will ensure that we are prepared for the job and are aware of any unique needs the project may present. Call us today at 941-4630 for a free estimate. When looking for roofing options for your home that will not cost you a fortune, let the roofing professionals at Skye Roofing help. 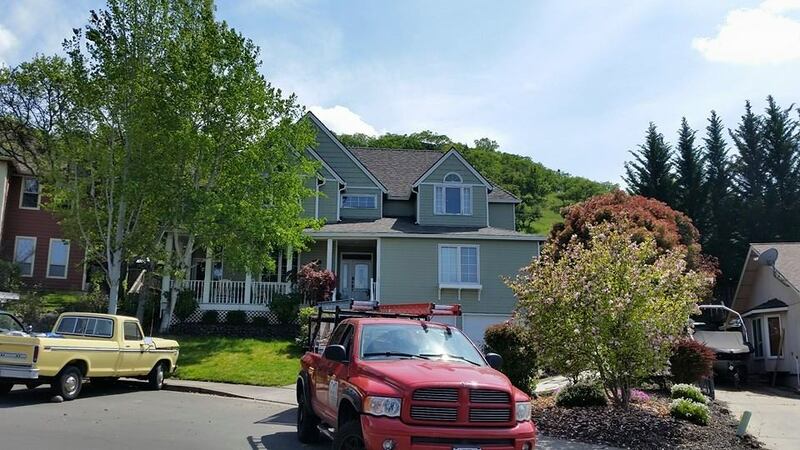 Our family owned company has over many years of experience providing top quality roofing services to the residents throughout Ashland, Medford, Grants Pass, and surrounding communities in Southern Oregon. We have a large selection of composition shingles in the colors and styles that will compliment your home while providing you with the ideal roofing option for your needs. The composition shingles you will find available through our company are manufactured from high quality asphalt and fiberglass materials. For building owners that want to utilize the going green methods for their home improvement needs, you will find many of the shingle selections that we carry to be constructed with recycled content materials that are safe for your home and ideal for the environment. The colors and styles of the shingles you will find are amazing. Their versatility allows you to create roofing surfaces that are elegant, unique and add a great deal of visual appeal to your overall property. "I found Skye Roofing doing an online search and I'm so glad I did. Fernando and his crew did a fantastic job of replacing my roof and were a pleasure to work with. I am a very satisfied customer and I highly recommend them." "Fernando came highly recommended to us by a neighbor. We were not disappointed! His people were fast, clean and above all-polite and friendly. They did a beautiful job. You are welcome to e-mail me if you like." Schedule your fee estimate today - click here. If you need an outstanding roofing contractor contact Skye Roofing, LLC. We have been servicing residential customers for many years in Rogue Valley. We offer roof inspections, leak investigations, leak repair, crack repair, and we find roofing solutions in low-sloped roofing. Over the years we have installed and repaired roofs for customers in Medford, Ashland, Grants Pass, and Jacksonville. With our highly skilled contractors we have the specific skills and competence to install and repair your roof. Our roofing jobs are high quality because we take pride in our work, our jobs are always done right the first time. On top of a great value and quality we give you the opportunity to pick the shingle of your choice. We look forward to hearing from you. Call us today at 541-941-4630. Blogging By Ez Web Manifesting. Simple theme. Powered by Blogger.